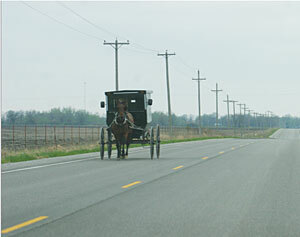 Among the variety of road users and vehicle types that travel on U.S. public roadways, slow moving vehicles (SMVs) present unique safety and operations issues. SMVs include vehicles that do not maintain a constant speed of 25 mph, such as large farm equipment, construction vehicles, or horse-drawn buggies. Though the number of crashes involving SMVs is relatively small, SMV crashes tend to be severe. Additionally, SMVs can be encountered regularly on non-Interstate/non-expressway public roadways, but motorists may not be accustomed to these vehicles. This project was designed to improve transportation safety for SMVs on Iowa?s public roadway system. This report includes a literature review that shows various SMV statistics and laws across the United States, a crash study based on three years of Iowa SMV crash data, and recommendations from the SMV community.